This really is such an easy thing to do that it doesn't really require a huge long-winded explanation; to be honest I just wanted to show you all my new favourite item of clothing! As I said this is SO SIMPLE that I don't really feel the need to explain in detail - you just need to push the studs through the denim in the pattern/design you want and flatten down the backs so that the studs stay firmly in place and you don't get poked. I believe that it's possible to buy studs with sharper points that will easily go through denim, however I have used normal ones and although it sometimes takes a little wiggling and elbow grease, they do eventually go through. Obviously if you have an extremely thick bit of material it may be slightly more difficult - you just need to judge it yourself really! The site I buy them from has quick delivery and has always been really good - I've ordered from them on numerous occasions. 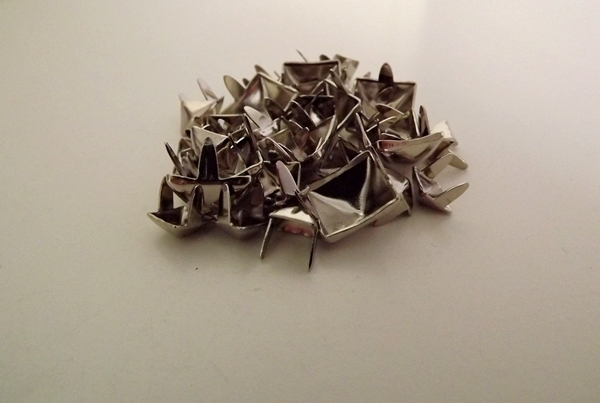 I've also known people to order studs from ebay. The jacket was given to me by a friend of my mum's - I would recommend buying a cheap one from either a charity shop or a vintage shop, because not only is the denim softer, it's not loads of money wasted if it doesn't go quite to plan! 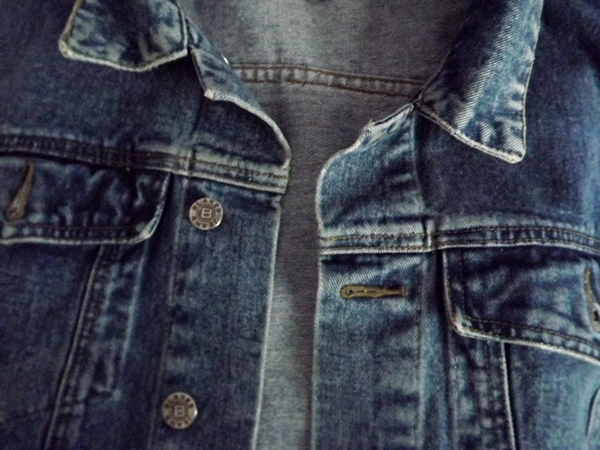 Personally I prefer the shape of a men's denim jacket as it's larger, slightly more boxy, and looks a little more vintage and authentic. I decided to do this little pattern with some large and small studs on the collar tips, however I may well decide to add some more in the future - perhaps on the pocket flap too. It's entirely up to you how you want to do it and you should just experiment. 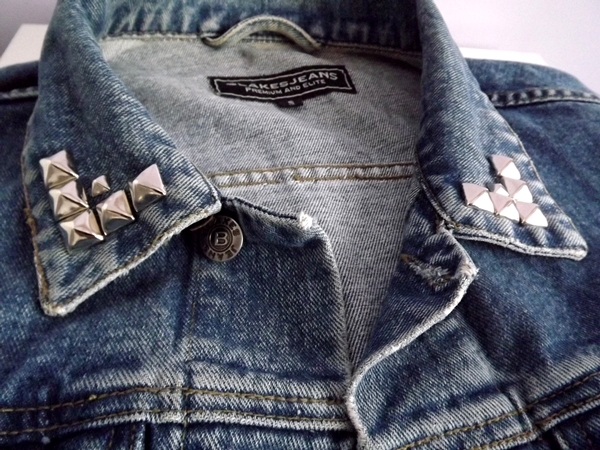 It's your jacket and your 'design' - you can have as many/as little studs as you want wherever you want them! I don't know if this has been helpful to any of you or not! I may do some more DIY posts if I can think of things to make - let me know if you have any special requests! An outfit post will follow this week showing the jacket in action..
this looks really cool :) I love customising clothes, it makes them more interesting and personal. I love this idea! 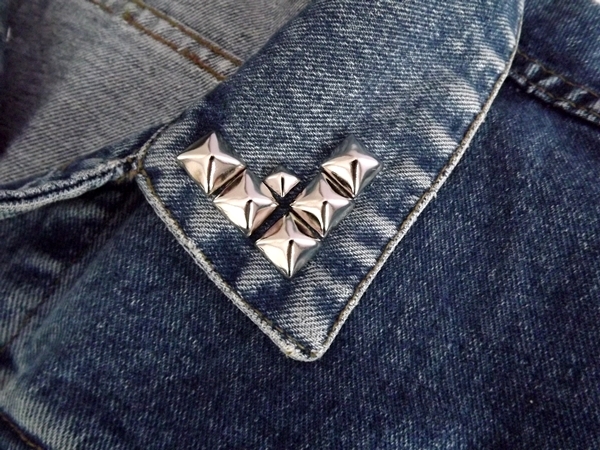 Studs and DIYs are so in right now it's crazy! I also have a post on applying studs to jeans!